Minnesota, Land of 10,000 Lakes, the birth place of Bob Dylan and Prince, host of the most massive mall in America, and the beginning of the Mississippi River, we love you! There are many reasons to love Minnesota, the 32nd U.S. state, but the reason we love Minnesota the most is that it has the best community solar program in the nation! With 246 megawatts (MW) of operational solar gardens and 200 MW in Xcel Energy's 2018 queue, Minnesota is the country's leader in community solar. Minnesota's landmark Solar Energy Jobs Act was signed by Governor Dayton in 2013. Under this legislation, any electricity consumer in Xcel Energy's territory can participate in a community solar garden and receive solar energy credits on their bill. Xcel Energy’s program opened in 2014 and was immediately flooded with applications. Both community solar developers and the utility had to work together to iron out kinks and growing pains of launching a new program. Through the latter half of 2017, the industry seemed to find its cadence and a clear path that will nearly double the solar garden capacity by the end of 2018. Incentives play a significant role in the success of Minnesota's community solar market. For developers, the market is uncapped and has fewer barriers to entry, making it attractive. 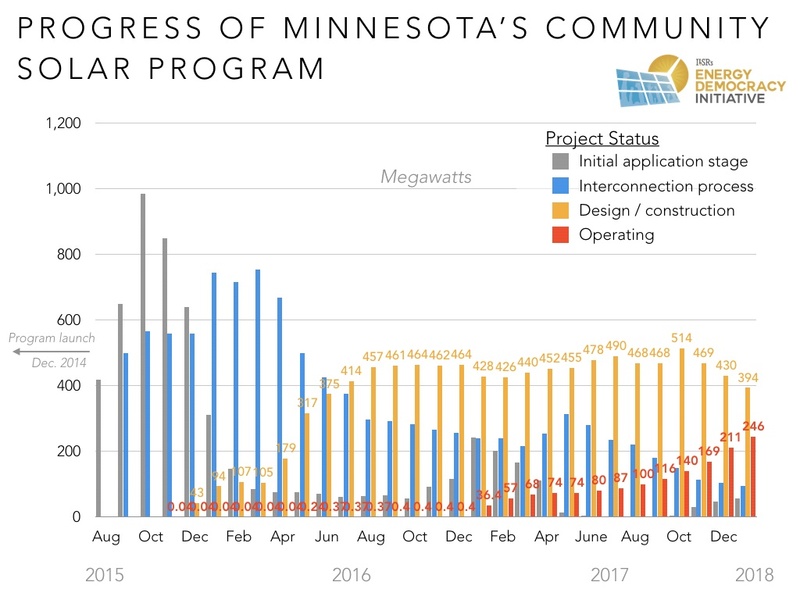 Unlike other states with community solar programs, Minnesota has a simple application process rather than a competitive bidding process. For subscribers, the Bill Credit rate makes it easier for developers to provide pricing that results in overall savings for both organizations and residents! In a market that is designed to attract both suppliers and consumers, everyone wins!